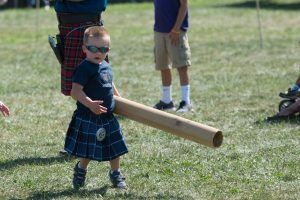 Parents, bring your wee lads and lassies to the children’s events and visit the many different events and demonstrations held throughout the day. 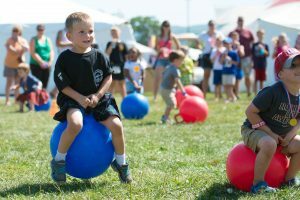 Children’s events are held on both Saturday & Sunday are are completely FREE!! Pick up a program for times and locations. As seen on Nat. Geo. 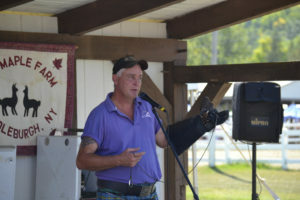 Wild Rescue TV, Wes Laraway is a regular educational presenter at every Capital District Scottish Festival and Games. 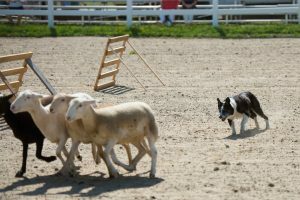 Wes is well known (for many years) to our festival participants for his “Celtic Critters” animal programs. 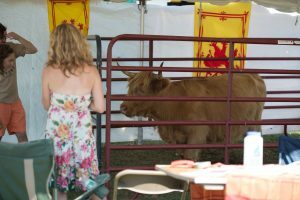 The Laraway Family loved to share their Scottish Clydesdales, Scottish Blackface Sheep and Border Collies with festival patrons of the past. The last few years, Falconry and Animal Rescue Activities have made the Laraway Family well known in the Northeast and the USA. Wes Laraway is also well known for his “Wildlife Alive” Educational Show. 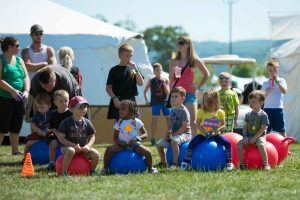 “Wildlife Alive” is a unique show with real wild animals that will be presented daily for your entertainment and education. Although touching the wild animals is prohibited, you will be able to get an up close look at animals that you normally only see at a distance, or perhaps never at all. 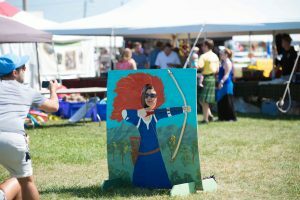 Welcome to this year’s Capital District Scottish Games, please try to find time to visit the Hawks, Owls and Falcons of New York Wildlife Rescue Center and watch one of the shows that Wes will share these wonderful animals with you daily.